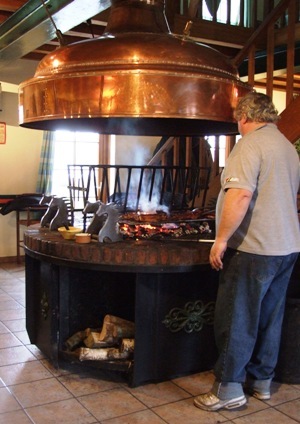 When you are at Blaugies, you are in a town of 50 people and if you want to, you can see France from where you stand. The homes are beautiful, and there are still ruins dating back to the end of WWII. 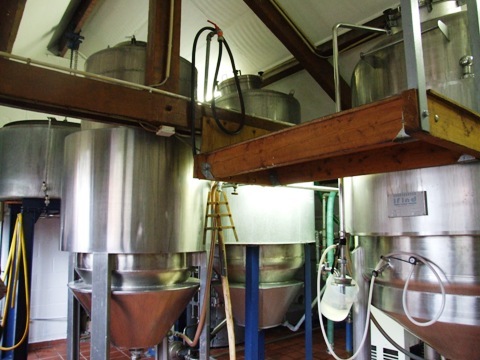 But, there is nothing as beautiful as Alex-Pierre and his family-owned and operated brewery and restaurant. The brewery fits within the garage of their impressive brick ceiling home and it is there that they make their saisons with 2 very important ingredients: water from their own well, and lots and lots of love! Across the street is the restaurant which boasts an open fire pit grill and a menu that uses beer in almost every item. We enjoyed the Pork Lard marinated in Moneuse and the Darbystre Beer Pate. Click here for more info. Stayed in the gorgeous La Roche En Ardenne! and had cave-aged Orvals with a very nice dinner! Wow! i don’t even know where to begin, but I think it is safe to say that this is one of, if not the best, beer festival in the world. 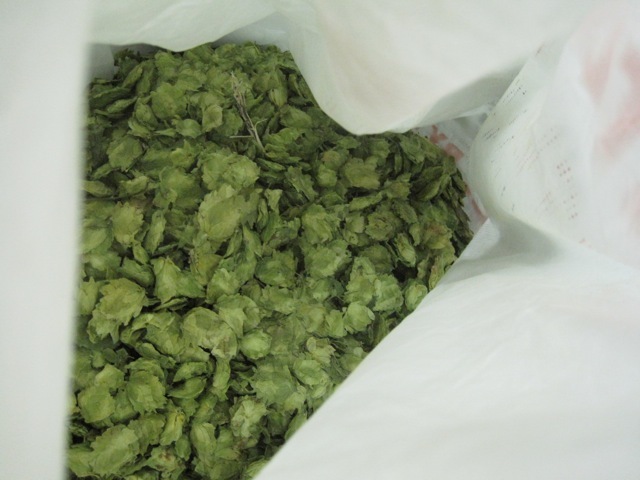 Check it out for yourself, click here for a full listing of beers. One of the very cool things about this festival was the Vuur & Vlam (Fire & Flame) contest. Menno, the brewer of De Molen provided an IPA recipe for everyone to follow and then all of the guests had to vote for their favorite. 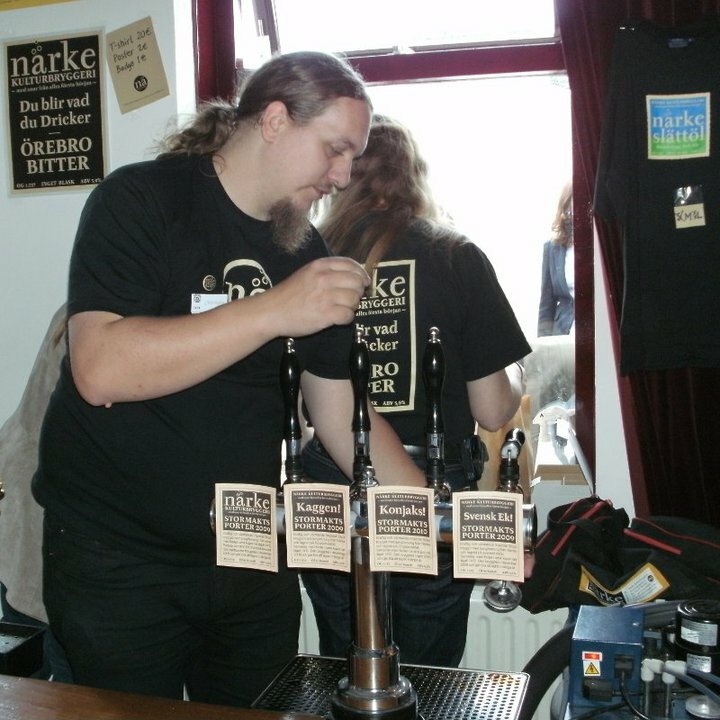 In third place was De Molen, second place – Marble Brewery, and 1st place – Haandbryggeriet (which is who I voted for). Congrats to all! We are definitely going back next year! A new brewery to be included in 2011 is Brew Dog and perhaps one American Brewery 🙂 I hope next time that all of our new friends are there again too! Thank you Urbain, Davy, Tom, Menno, James, Heather, Kristina, Noah, and the Tom’s for a very nice time! 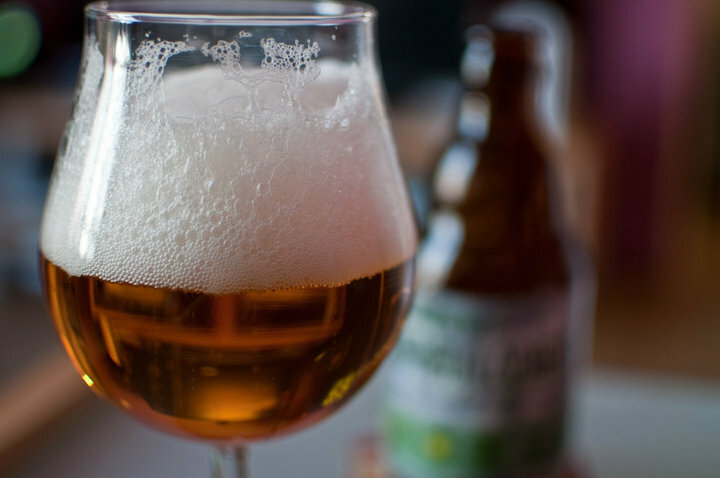 Yes, there is plenty of good beer in Amsterdam, not to mention good food, good museums, and good cafes! If you visit, I highly recommend going to the De BierKoning. This beer store has the most amazing selection I’ve ever seen and a super knowledgeable staff to match! To grab a drink, you should check out Cafe In de Wildeman. We visited here with our friends from Chicago (Kristina & Heather from West Lake View Liquors and Noah from Local Option). Mighty fine beers were tasted such as: De Molen Rasputin & De Molen Amarillo. Also, visit Cafe ‘t Arendsnest, a beer bar with all Dutch Beers – there is lots more De Molen to try there too! The same owner opened, Beer Temple, and American Beer Bar, which we visited twice, but we opted for the Dutch and Belgian selection….. and of course, while you are there, enjoy many upon many cones of frites with the glorious sauce piled on top. This has to be one of the most unforgettable days of the trip. 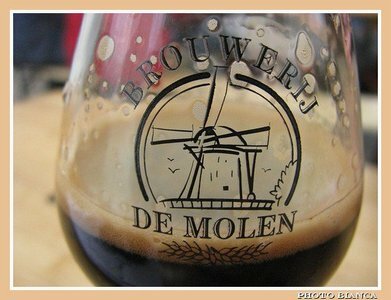 Thanks to Kristina, we decided to stop back by De Molen for lunch on our way from Amsterdam to Antwerp. Not only did we have one of the best meals of the trip, but we got the tour of the De Molen brewery from owner and brewer himself, Menno Olivier, who was one of the most inspiring people I met on this trip. 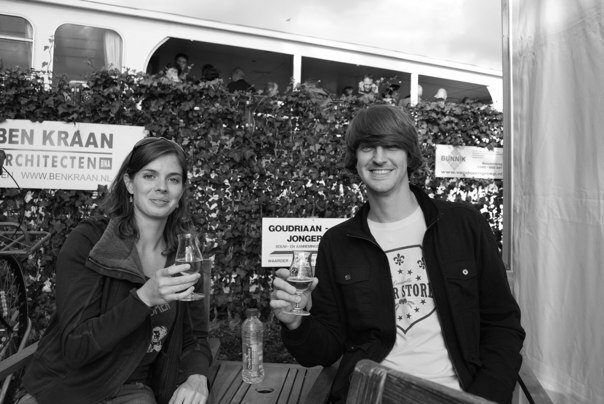 He does it all, brewer of great beer, distributor, importer & exporter, not to mention world-class festival planner! During our time there, we tasted some rare beers from Menno’s collection, Lood & Oud IJzer (Blend Barrel-Aged of Amarillo and Rasputin) and Vlaams & Hollands (a Flemish Oud Bruin). Then, once it was discussed we were headed to Kulminator for a nice sitting of vertical tastings, Menno called Dirk at Kulminator and asked if he would like us to bring him some beer. 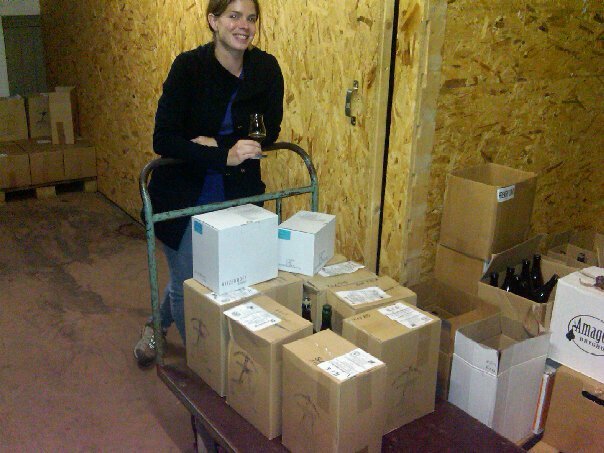 So there we were, on our way with cases of Rasputin, Cognac Barrel-Aged Machtig & Mooi, and Bommen & Granaten, to deliver to the Kulminator. Can you believe it? We got to deliver some of the Europe’s finest beers to the #2 beer bar in the world!!!!!! Brussels is definitely somewhere I’d like to go back to and spend some more time! There were just so many places to visit. Of what we did hit up, it was all excellent and thanks to our new friend & home brewer Tom Wuyt, we were able to go to all the best places. Unfortunately Drie Fonteinen was closed on this day, but luckily Cantillon was open for tours and tastings. My strong love and passion for this 110-year old brewery was left deepened in every way. You can walk thru every inch of the working brewery and Sofie, the brewer Jean’s sister will give you a great start to the tour. Next you taste, which after having gueuze and kriek, we went for the Mamouche, a very unique and floral lambic made with elderflower blossoms. Folks, this is real Lambic! LINDEMANS IS NOT! Another great spot was Moeder Lambic, wow! 40 taps of nothing but superb beer! The food was great, the service was great and the place was beautiful. Can’t wait to go back!